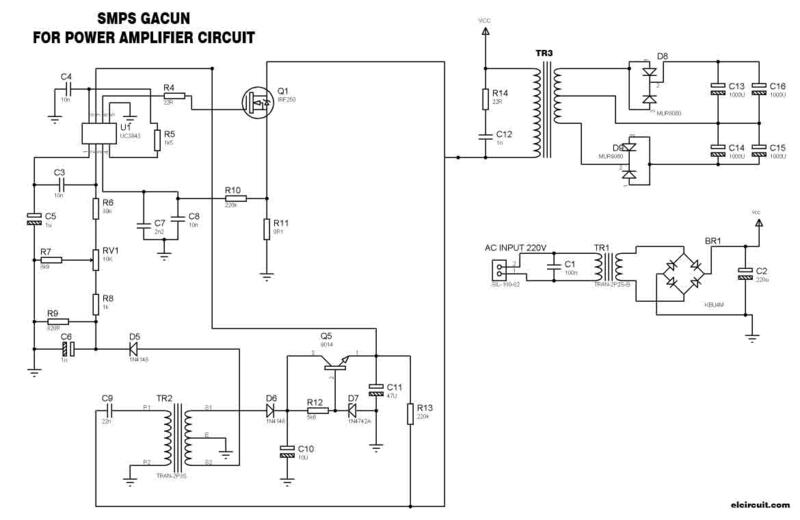 Before the making of Gacun SMPS circuit for a power amplifier, we must know in advance what it is Gacun. If you are an electronics hobbyist who often dabbled with Power Supply TV, then you will not be familiar with Gacun module. 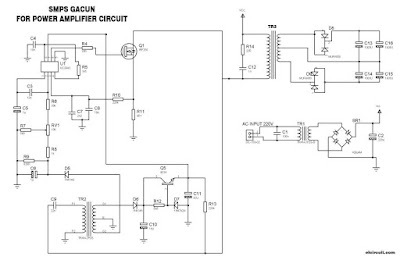 Kit / Module Power Supply Gacun is a very innovative breakthrough. Can be applied to any regulator including TV, as long as the transformer is still good. With this kit, the technicians are very helpful to replace the original regulator circuit. TR3= Primary Winding: 45Turns 0,6mm , Secondary Winding: 14Turns CT 14Turns 0,8mm. 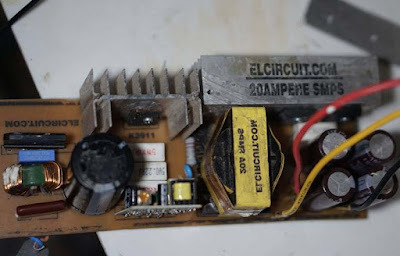 Core transformer using from former tv power supply.